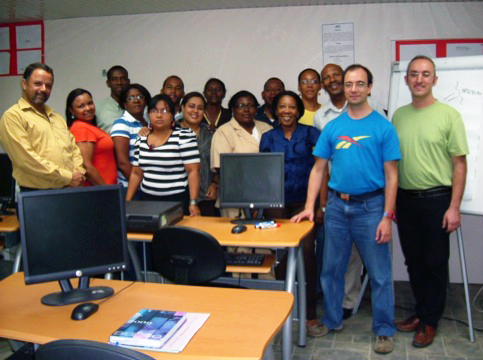 The DU project in the Dominican Republic kicked off in the second half of 2010. ST Foundation’s local partner is UDEFA (Union de Escuelas Dominicanas en Alternancia), a local NGO working in the areas of rural development. Its action aimed at encouraging the participation of the rural community though innovative education. ST volunteers took care of training the local trainers and the Foundation provided its Informatics and Computer Basics Course in order to offer free computer training and access to Dominican beneficiaries. Moreover, the Foundation contributed to the operating expenses of the labs. Courses were held in four venues: El Seibo, Hato Mayor, Yamasà, Barrio Santa Ana de Villatapia. 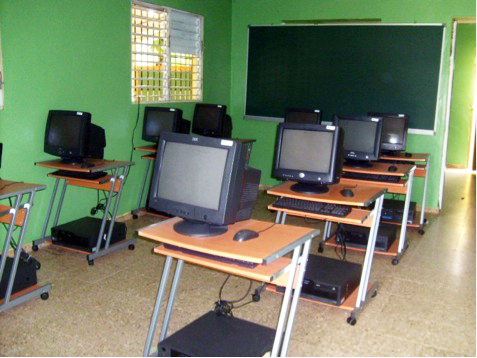 These labs have been equipped by the Dominican Ministry of Education. Over 670 trainees participated to the DU courses. The program was ended in the first quarter of 2012.